Sometime in the late summer of 1965, in the fictional land of cable television, advertising ace Don Draper dropped a bomb on his industry and his business partners on the prestigious pages of the New York Times. And this morning, on the pages of that very paper, former Goldman Sachs executive director Greg Smith had his own Don Draper moment. 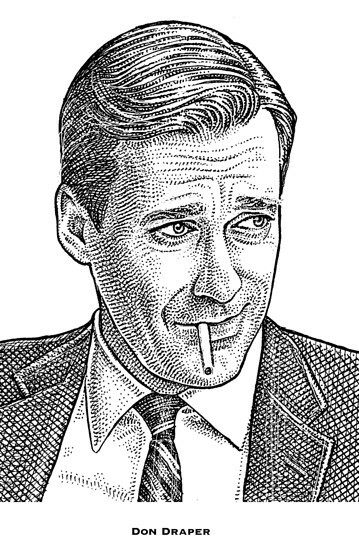 Draper’s ad/op-ed, “Why I’m Quitting Tobacco,” – featured in the penultimate episode of the fourth season of “Mad Men,” shortly after (spoiler alert!) Sterling Cooper Draper Pryce is dropped by its primary client, Lucky Strike – is the creative director’s attempt to not only remove the firm from tobacco clients but also to make it stand out from the other Madison Avenue agencies. Smith’s op-ed, “Why I Am Leaving Goldman Sachs,” instead includes a scathing analysis of the Wall Street titan that he called his employer for the past dozen years and offers a thesis for what he thinks has gone wrong. Smith said the firm had achieved success thanks in large part to a culture where doing right by its clients was paramount. But during the past decade, a “decline in the firm’s moral fiber” caused him to reconsider his place at Goldman, where he had been the head of the firm’s U.S. equity derivatives business in Europe as well as an active part of its recruitment process. “I knew it was time to leave when I realized I could no longer look students in the eye and tell them what a great place this was to work,” Smith wrote. In addition to denouncing the firm’s treatment of clients, Smith also criticized how success is achieved within the company. He said Goldman has become “too much about shortcuts and not enough about achievement.” He recalled learning the ropes during his first years at the firm, claiming that everything he accomplished came as a result of hard work. His op-ed appears to be a warning to Goldman that, if change does not come, the firm’s sustainability will be in question. It is debatable how much attention Smith’s plead to limit the greed will receive at Goldman and in the industry in general. But his larger message is one that is applicable beyond the world of banking. As all types of firms – whether in finance, law or otherwise – continue to rebuild after the recession, treatment of clients should be paramount. Greed, like tobacco, is not likely to go away. But Smith’s message – much like Draper’s – is one worth keeping in mind.